The European Union is a step closer to introducing new rules aimed at boosting exports of generics and biosimilars from the region – despite dogged opposition from the pharmaceutical industry. Europe’s pharma industry body EFPIA says the changes send a signal that Europe is “weakening its commitment to IP incentives and innovation”. However the generics and biosimilar sector says this is scaremongering, and the move will in fact boost its exports and create jobs, without doing any harm to innovation-based pharma. 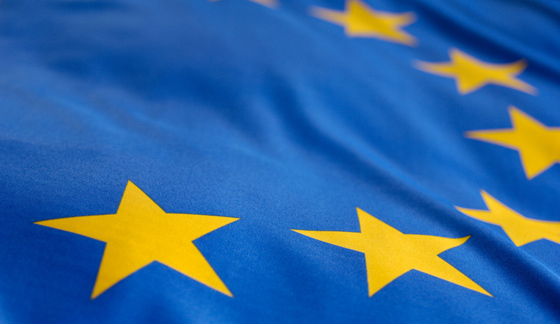 European leaders are close to finalising the regulation change, which will see a new ‘manufacturing waiver’ to the supplementary protection certificate (SPC), an existing law which extends market exclusivity for branded medicines inside the EU. The waiver is being introduced because generic and biosimilar companies in Europe have been blocked by strict rules which prevent them from manufacturing their copies before the SPC expires. Ministers from EU member states have now backed the reform, with just the European Parliament needed to agree the changes, which could start to apply from 2021. Europe’s generics and biosimilar firms, represented by trade association Medicines for Europe, says their competitors in Canada, India and China have no such restrictions, and can be ready to launch their versions on ‘Day 1’ of exclusivity ending – giving them a major competitive advantage. 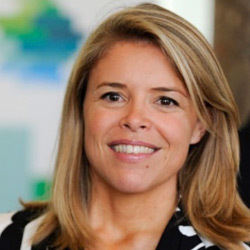 The new waiver will create a more level playing field for European biosimilars firms, though EFPIA, led by Director General Nathalie Moll (pictured), is continuing to lobby over some of the details of the new regulations. It says the waiver will hit the innovation-based industry, but that EU member states could “prevent further erosion” of Europe’s IP by limiting the scope of the changes. Those supporting the changes say EFPIA’s claims don’t make sense – as the waiver doesn’t reduce any intellectual property protection, or curtail the SPC period. However, the EFPIA looks to be vigorously opposing the reform because it fears such amendments could be a ‘slippery slope’ towards further changes. The European Commission has a very contrasting view, and says the rules will help Europe’s competitiveness as a hub for pharmaceutical R&D and manufacturing. It says it will provide a boost to new generics and biosimilar companies to start up and scale up in high growth areas, and projects that it will help generate additional net annual export sales of “well in excess of €1bn” over the next 10 years, creating 20,000-25,000 new jobs over the period. EFPIA is understood to be demanding a notification system that would compel generics and biosimilar firms to inform the originator companies which product they were manufacturing, and in which location. A spokesperson for Medicines for Europe says this is not a reasonable demand, and that these details should remain commercially sensitive, as they currently are. The current proposals would also see generics manufactured in Europe under the new rules banned from sale in Europe, and would be earmarked for export only. Medicines for Europe says this isn’t a logical rule, and is pushing for it to be changed. Finally, there is also uncertainty about when the new rules might come into force – centring on the ‘non-retroactive implementation’ phrase. This is a legal question about when the amended rules can be introduced – it may be as soon as 2021, but could be delayed until 2023. While the waiver is a relatively small amendment to existing legislation, its supporters want to see it wrapped up before April, as the European Parliament must cease business in the run up to EU elections which start on 23 May. The SPC waiver is just one of the big issue for EFPIA in 2019, which says Europe must maintain its competitiveness and attractiveness to R&D-based firms, particularly in the face of new competition from China. Other issues include draft legislation to harmonise HTA in Europe, the launch of the new EU research framework, Horizon Europe and, of course, Brexit.